And as can be expected, it's a pretty impressive show. It seems to melt much of the original show with projection elements from World of Color. Here it is in two parts: One and Two and alternate versions Here and catch the entire thing in one shot with Joe In Japan's version Here. It's not an exact duplicate of the original or a cheap copy like Walt Disney World has. It's a beast of a different nature and I like that. If there was one complaint, it would be that at times it feels uneven with the transitions. But this was it's first show and I'm sure there will be fine tuning over the coming months. Also, some of the rehearsals had dancing metallic birds made of metal that sort of did a ballet duel - not here. It didn't make the cut. Overall, a grand and beautiful show. It looked like crap. Just a more advanced Disney Sea Symphany with some fantasmic music. Disneyland's is still by far the best. it seems that the trend with the creative team led by steve davison don't have a strong grasp on storytelling, but rather put all their creative energy into WOW moments. this seems to be the case with WORLD OF COLOR as well... seems very disjointed at times, which can work well for a fireworks show, but not necessarily for a live spectacular like Fantasmic! I find myself a little bit disapointed. While there are certainly advances being made, more could have been done to make this unique! Well, WDI-CE and those close to the production team of World of Color emphasized early on that WOC was more so like a fireworks presentation. A visual and musical experience with a loosely themed thread that connects the experience together. Fantasmic! and the like have a more linear storytelling type of format. WOC wasn't necessarily meant to be exactly that, especially after some of the changes that came from corporate. 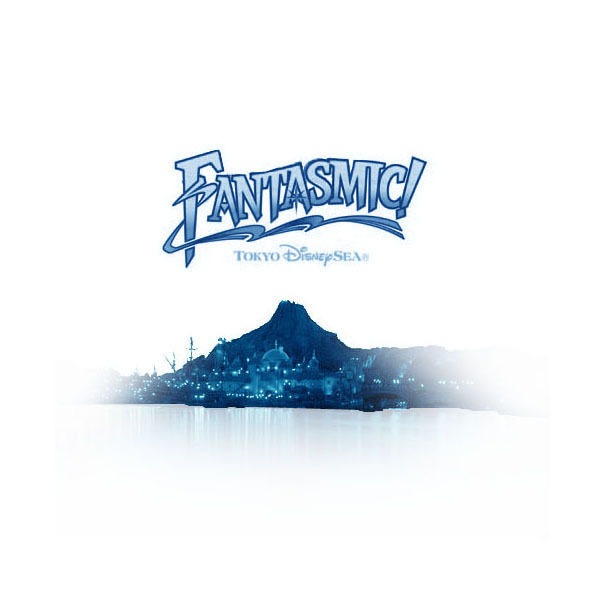 As for TDS's Fantasmic!, I think there are more "WOW" moments because the stage is literally a massive lagoon. Totally different from the other two stage setups. I think Steven and his team had to think of ways to really 'fill' that entire space, and really no other way than to go 'big'. My comment is not on this story, but on "Anonymous". "Anonymous" with near certainty has a nasty, snarky, or mean comment about any post. You can tell it is the same person by grammar and sentence structure. My question is: why? What I love about this blog is that it is analytical and balanced. I understand disagreement. I just don't understand the sheer pleasure in always being disagreeable. Steve Davison doesn't know how to tell a story. He throws everything into the show too early save anything for a buildup at the end. And he overuses every effect to the point where it isn't exciting anymore. The Sorcerer Hat is given away at the beginning of the show, instead of saved for the end. Mickey shows up atop the hat too early, and is then followed by Stitch and Cinderella, wtf? He did the same thing with world of color--overused the projection, not enough dancing waters. Say what you want about Barnette Ricci, but she clearly knew how to tell a story. Steve doesn't. Leave him to the disjointed fireworks shows. That's it. What is the point of having main characters in a show if all they're going to do is stand in the middle of a rope circle and wiggle around? Mickey looked idiotic in the end just wiggling around. No where near as epic as he is in the end of the Anaheim or even WDW version. Pyrotechnics aside, I agree there seemed to be little story to it. I especially could do without the Macy's Blow up Characters. Why not just have the regular characters on the floats? I miss a real stage for the CM's to perform on like at DL and WDW. The good part was the villains, but it still needed something. Mickey doing the line to defeat the dragon was weak, as were the fact the dragons wings were water. :( The floats at the end were cute, but I expected the boat. Each to their own. I like WDW's for what it is and we love DL's version. Why do people assume that everything has to have a storyline? Can't you guys just appreciate it for what it is? I mean yes, Fantasmic at the American parks have a story, but why make it an exact carbon copy? This is unique to DisneySea and it'll appeal to a different audience. You can't have everything. The show was by far the best Disney show ever. I just want to add that the metalic birds were not ment to be in Fantasmic. It is for a whole other show in the Sentosa resort. Why does a water/pyro show need a story? Was the idea of Mickey's dream born out of desire to tell a great story? No, more than likely it's an excuse to throw segments from disney movies into a live water/pyro show. It wouldn't bug me so much if disney fans didn't bad mouth World of Color for a lack of story than praise Fantasmic for having a "story". Just enjoy the spectacle and emotion of it all. It's an experience. I couldn't agree more, the Disney World version should have been better, a lot of our Orlando Vacation hotels are talking about this. 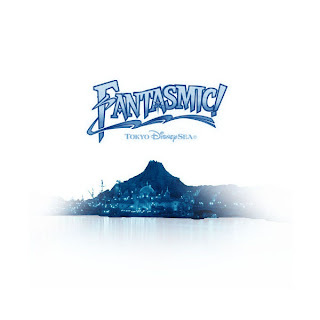 I see fault in calling the WDW version of Fantasmic a cheap copy. It is a great show that is, in some ways, better than both the Disneyland and DisneySea versions. It has an amazing amphitheater with great pyrotechnics and a very similar show to the one in California. Just because the Fantasmic at Disney's Hollywood Studios is the only one not to have a recent upgrade doesn't mean it's crap, and I guarantee that the transplantation of this epic show from California to Florida was anything but cheap. I think that there is some major bias that is affecting the judgement of certain people across the internet. You don't have to be jealous just because we have a show to rival yours ;).